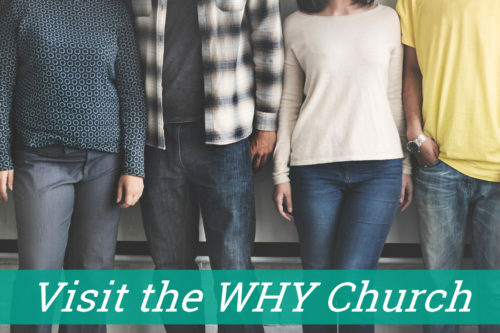 Welcome to the WHY Church! We are passionate about family, building relationships, growing in Christ and finding your purpose. We want the WHY Church to become a beacon for your family – a place that feels like home. Your story and life matter to us and God. Whether you are a lifetime follower of Christ, a new believer, or an atheist testing the waters, we want to provide a safe place for you to get help, healing, and most importantly hope. By joining the WHY church family, you won’t have to walk through the ups and downs of life alone. We want to celebrate with you and guide you when life beats you down. When you visit, be sure to stop by the welcome table to get your FREE gift. We know that visiting a new church can be intimidating and you may have a barrage of questions so we’ve added this little question and answer section to address some of the most common concerns. If you have further questions, please do not hesitate to contact us! What are the Sunday morning worship services like? Worship is at 9:30 a.m. every Sunday morning at the Elk River YMCA in the Gym. A delicious breakfast buffet is served all morning so come hungry! Our worship service and kids’ ministry time last about 60-70 minutes. Other things you’ll experience are music and singing led by our worship team, a Bible reading or two, a message connecting the Bible passage to our everyday life, prayer, and sometimes Communion or a baptism. What do people wear to the worship services? An advantage to a worship service at the Y is that you can connect it to a work-out, fitness class, or dip in the pool. Feel free to wear your work-out gear, dress down, dress up, or anywhere in between! Kids from infants to college are important to us! Every Sunday morning we offer childcare in the Kids Stuff space at the Y and Kids’ Ministry in the Community Room. Our childcare and kids’ ministry volunteers ensure the safety of every child, provide all kinds of fun activities, and teach the children about the Big God Story (the Bible) and His love for them. The kids always start the morning in the worship service where we share in a children’s Bible reading and a kids’ blessing. We believe that the family is the primary place of faith formation and desire families to be in worship together. The WHY Church is excited to support and equip you for spiritual parenting! Do I need to be a YMCA member to come to the WHY Church? No – the WHY Church is open to the entire community. If you’d like to check in your kid(s) for childcare or Kids’ Ministry, just bring a photo ID. 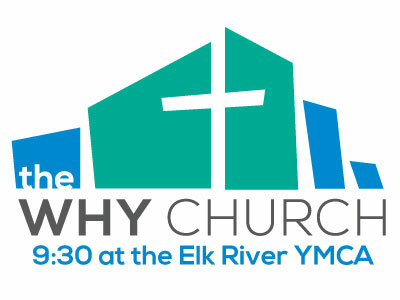 What is the connection between the WHY Church and the Y? The WHY Church has a special place in its heart for the Y and we support their mission “to put Christian principles into practice through programs that build a healthy spirit, mind, and body for all.” The YMCA is our “home” and we don’t have any plans to move or build. We love to support the mission of the Y, which is why we are an official Roundtable YPartner – look for our banner in the lobby! And we put that partnership into motion by serving in tangible ways at the Y throughout the year. But we are also a church for the whole Elk River area. Our community has a special place in our heart too! Whether you’re a Y member or not, the Y is a hub of life in the Elk River area where we are blessed to love and serve others in Jesus’ name! What can I do to get connected and meet others? We have an active community of small groups (WHY Groups), programs, and ministries so that you can connect with others as you grow in faith together. Error: Error validating access token: Session has expired on Saturday, 02-Mar-19 17:19:36 PST. The current time is Friday, 19-Apr-19 15:59:03 PDT.